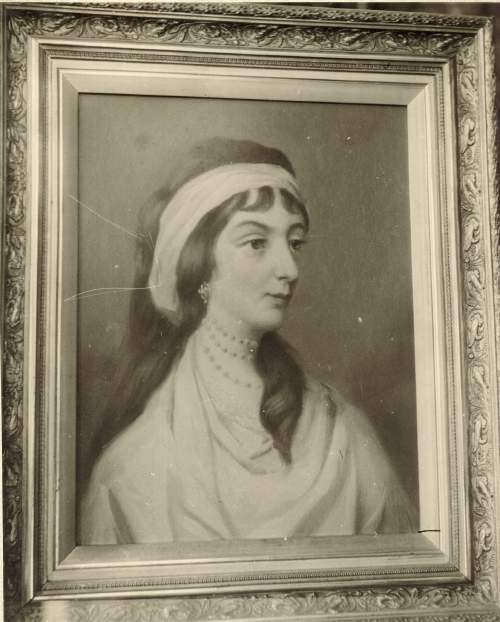 Black & white photograph of portrait, possibly of Georgina Anderson. Long explanation on the back (by Miss Lyon?) gives connection with William Munro of Achany (she was one of his 11 children) and the wife of Dr Grant, minister of Dornoch. Also mentions that Munro of Achany crest is on fountain in front of cathedral - this was given to the town by Georgina Anderson.